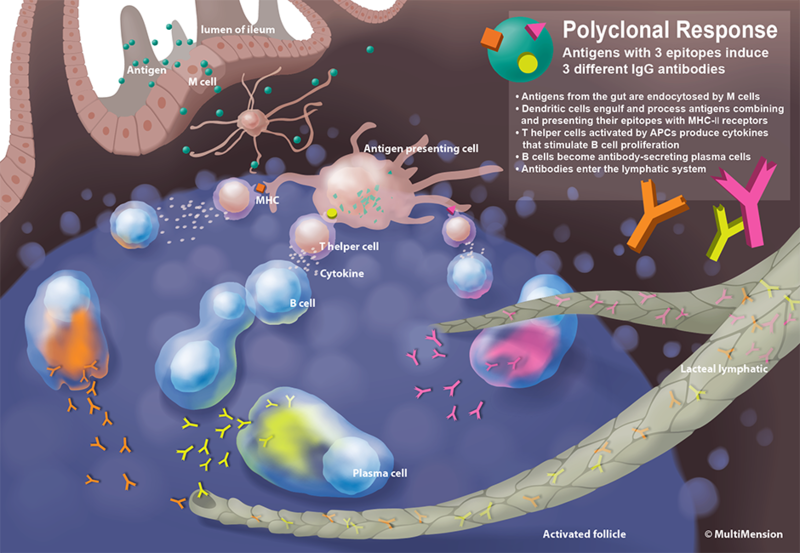 This illustration conveys the mechanism of Polyclonal B cell response in human body. A single antigen is recognized and attacked through its epitopes by multiple clones of B cell. 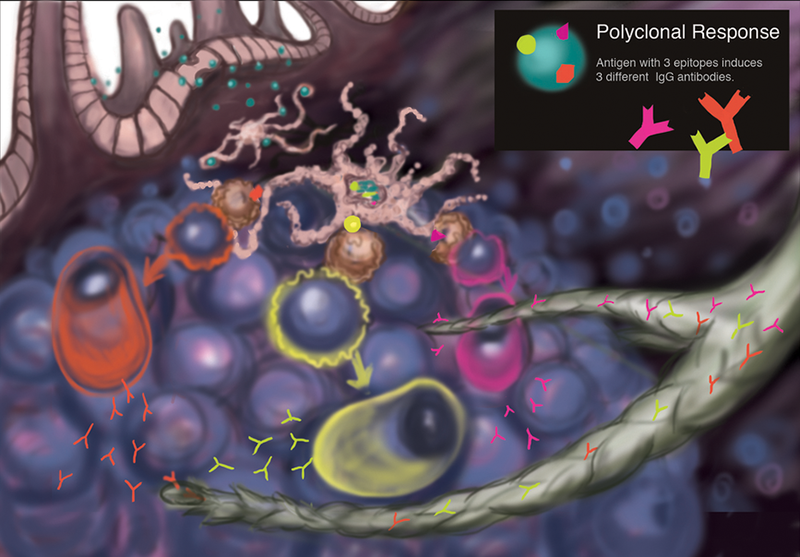 The mechanism of polyclonal response is a prime example of interaction between immune cells. However,there is a lack of communication tools to explain its overall mechanisms. The illustration was developed for a textbook targeted at high school and university students. An intuitive color-coded and simplified style were used to visually explain the various steps of the mechanism. The final illustration was created in a vector format to set flexible print size. Scientific content research was done first. We reviewed the accuracy of the content with professors in Immunology department at University of Toronto.